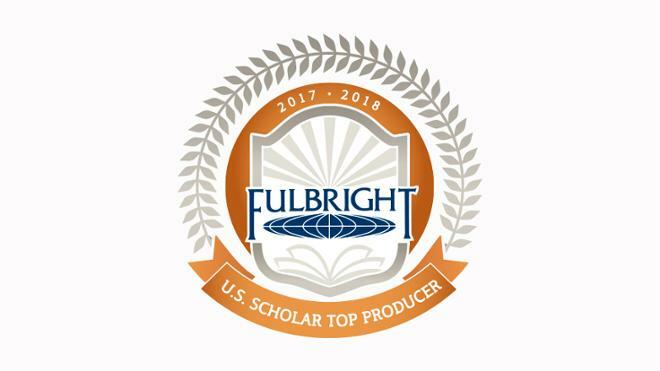 The U.S. Department of State’s Bureau of Educational and Cultural Affairs recently announced the U.S. colleges and universities that produced the most 2017-18 Fulbright U.S. Scholars. The Fulbright Scholars program operates in more than 125 countries throughout the world, providing faculty and administrators grants to teach and/or conduct research. History and international studies professor David Brandenberger for his research on Russia’s political landscape during the 1940s and 50s. Math professor Jim Davis for his research related to any needed improvements related to the math behind communications such as text messages. Biology professor Rafael de Sá for amphibian biodiversity research in Colombia. The University of Richmond has had 16 faculty members awarded Fulbrights in the past five years. “Prestigious honors like Fulbrights allow [faculty] to share their expertise with others around the world, but also to bring their global perspectives here to our campus."